War has cast its cold shadow over the kingdom of Moltovia, but finally, peace appears to be at hand. Prince Florin races to join his father at the joyous banquet in the court of their former enemy, but is greeted by betrayal. Spared the dungeon that is the fate of his father and his loyal followers, he is enslaved as a lowly apprentice to the spiteful and wily court jester, Mimus. Banished to a damp tower and forced to play the fool alongside Mimus, Florin despairs. How can he, a mere boy, save his father, his kingdom, and his own life? 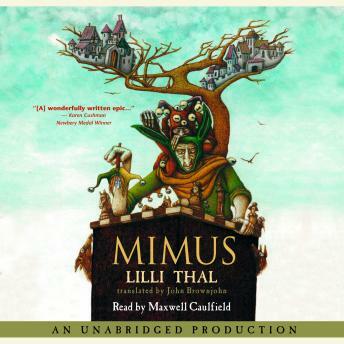 Bristling with wit, Mimus is a gripping and suspenseful saga of medieval deception and cunning.